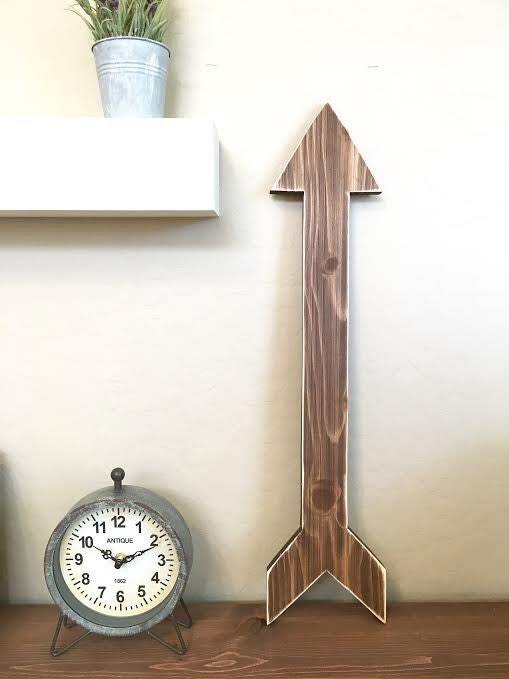 These trendy Rustic Wooden Arrows will create an eye catching & unique piece for your home or office! This listing is for ONE arrow, in the color of your choice. You may choose to have a distressed or solid color finish. You can also MIX & MATCH! Please leave a note upon checkout for your desired colors. 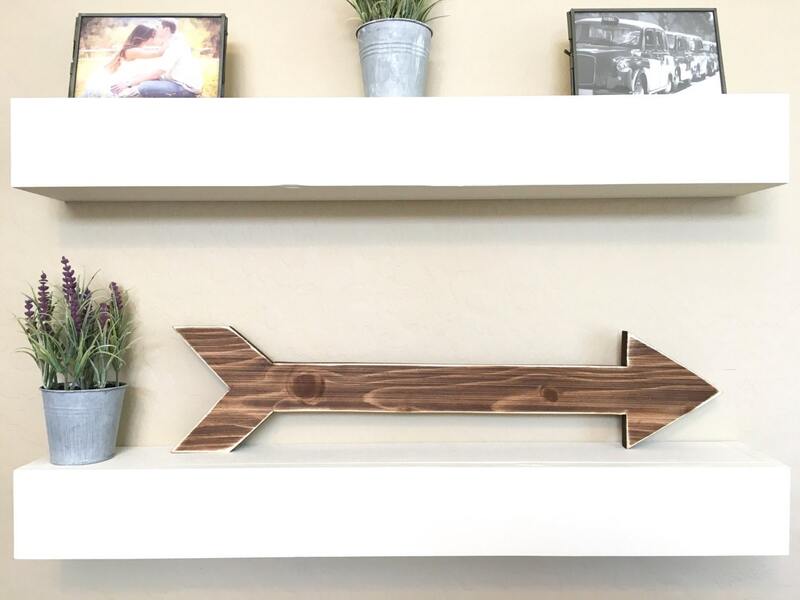 ►►►Measurements: 24" x 5 1/2"
►►HANGING HARDWARE: Unless requested, we will not mount the saw teeth hangers on the item prior to shipping so that you may sit or mount your arrow pointing in the direction that you desire! We will include the hardware in the packaging! ►Note: These photographs provide a portrayal of what will be manufactured for you upon your order. Every piece of wood is different & slight diversity is to be expected in the wood grain & the color of the stained wood captured in the photos might vary slightly also. Dunn Rustic Designs does our very best to present you with a quality creation using the design shown, but every piece of wood is diverse and offers it's own rare character.